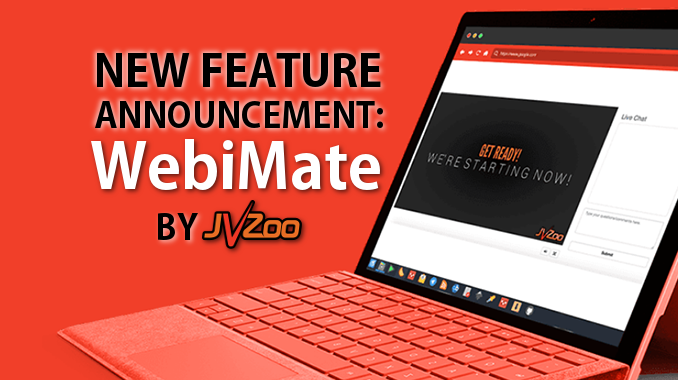 The anticipated Automated Webinar Service, Webimate, built by JVZoo for JVZoo marketers. WebiMate will be your secret weapon for Maximum Conversions. You can attach a pre-recorded video to ANY product – even MULTIPLE products – and turn that video into an automated webinar that sells for you 24/7. The best part is this is a ZERO-COST platform that is simple and easy to use! No matter if you are a Seller or Affiliate, WebiMate is FOR YOU! As a Seller you will attract MORE high-powered traffic and as a Affiliate you will enjoy higher conversions. The bottom line is: WebiMate is here to help both Sellers and Affiliates to increase profits and conversions. It is Simple, Powerful, and Effective. 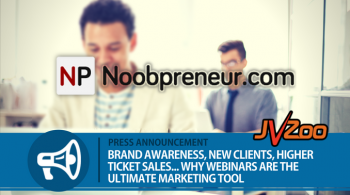 Webinars sell. You know it. We know it. And now, it’s become WAY easier with seamless integration with your JVZoo account.